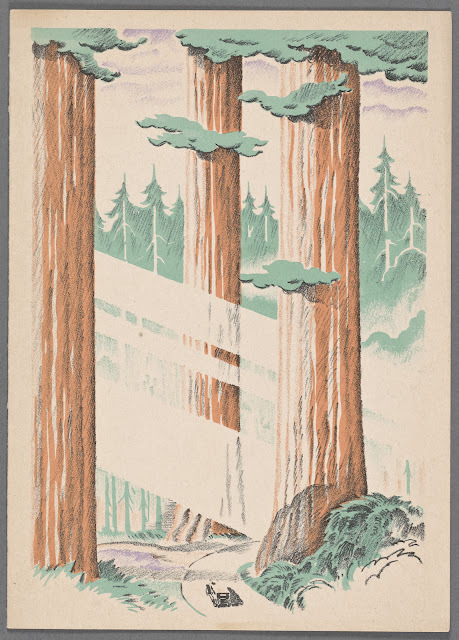 I was futzing about on the NYPL site, and found this beautiful menu cover. Turns out, there's a whole line of them, and a lot of history behind the boat where these meals were served. I love how small the little car at the bottom is, compared to the majestic trees. It makes me wonder what traveling as a passenger on the S.S. President Johnson in the 20s and 30s would have been like.